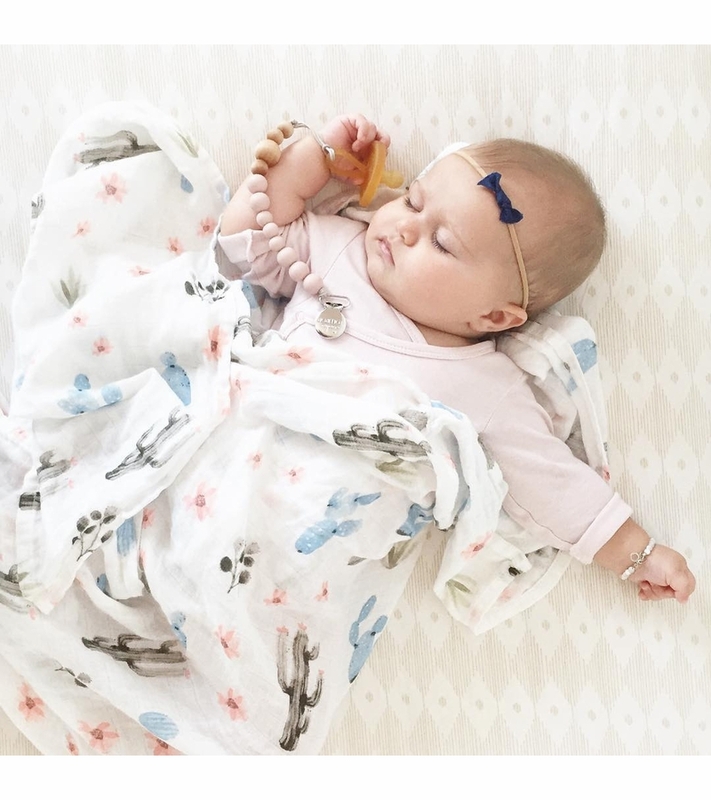 This luxurious bamboo swaddle is silky smooth and soft and gentle on baby's delicate skin. 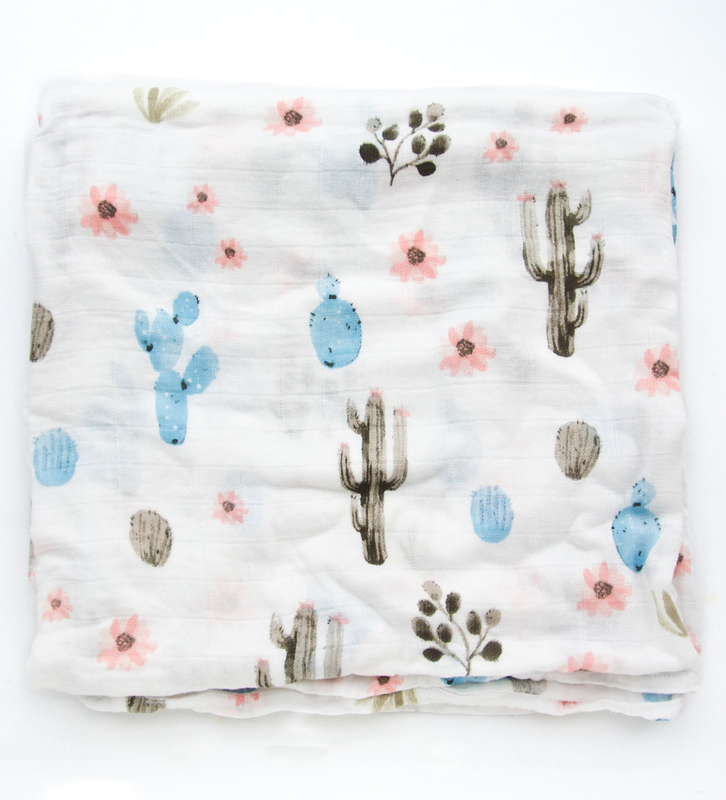 The cactus print is on-trend and the flowers soften up the look of the print. 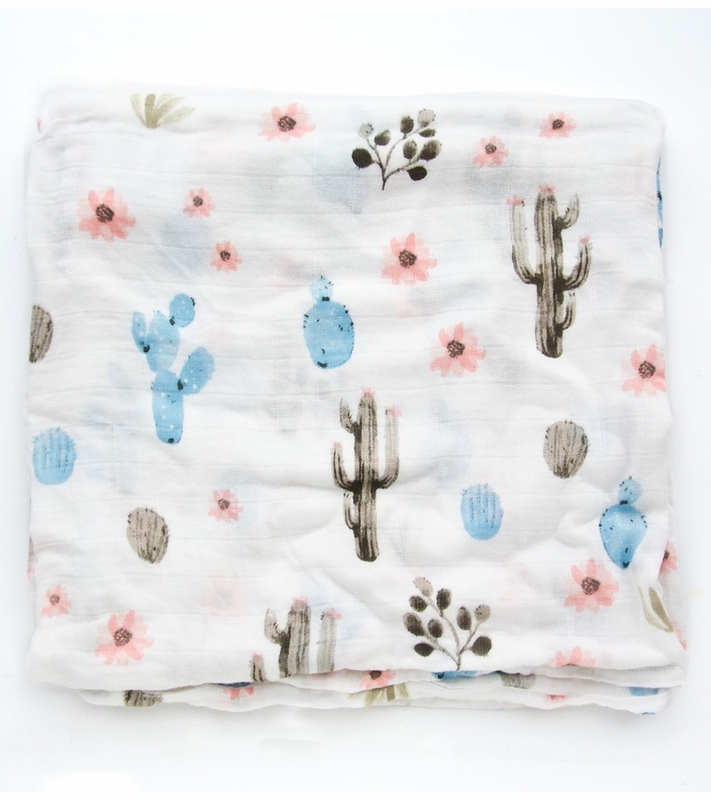 Use it for swaddling, car seat cover, or as nursing cover, the possibility is endless. This is even prettier in person! The color is much more purple than blue, which I don't mind. It washed beautifully and is even softer now. Love the fabric, design and colors of this blanket all around! I can't wait for my baby to arrive and use it. I'm currently in my last trimester and am having a boy.